'Block Z' is almost here: Everything you need to know! The zombie apocalypse is coming very soon! 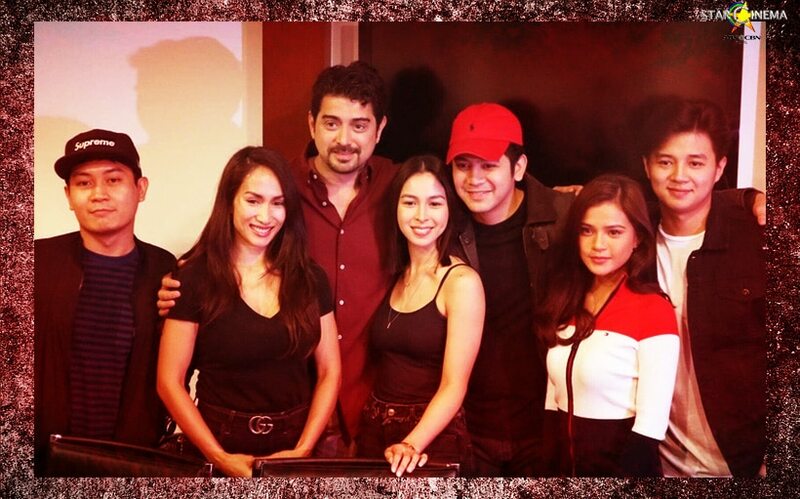 The upcoming thriller will combine the star power of Joshua Garcia, Julia Barretto, Ian Veneracion, Ina Raymundo, Dimples Romana, Maris Racal, McCoy de Leon, and Yves Flores for an "action-packed" zombie movie that will be a first for the Philippines. The film held its story conference today, January 24. "Eerie" director Mikhail Red will be at the helm, and he's keeping a tight lid about the details of his much-anticipated, internet darling of a new project. However, he did reveal that it will be largely set in a university. He explained, "It will be about [students] na maka-quarantine and the main characters have to find a way to escape and survive... it's a very exciting film, hopefully, a game changer. Expect twists and turns, and in this film, parang nasa labyrinth sila, trying to survive these traps and hordes of zombies." His movie monsters will also be a departure from the slow "The Walking Dead" kind of zombies in favor for a "fast... mas infected, mas enraged, mas high-energy, fast-paced, and full speed ang mga habulan at takbuhan." As for their characters, Joshua will be Lucas, a varsity basketball player, Julia is PJ, a medical student, with Ian playing her loving, protective father Mario. This will be the second go in this dynamic for these two actors, who also played a father and daughter in the hit television series "A Love to Last". According to Ian, PJ and Mario's strained relationship due to his former status as an OFW will be one of the center points of his character. Another cultural callback in "Block Z" will be Maris and Julia's friendship. This will mark their second film together after the 2016 hit "Vince and Kath and James". Maris plays Erika, another medical student and PJ's best friend whom the actress described as an "It Girl" who is "selectively nice". Yves is taking on Gelo, a class president who will be leading the group. McCoy and Dimples, who were sadly not in attendance, will be playing a "geek who has to find his courage to survive" and a lady security guard, respectively. "Block Z" will begin filming this February and according to Direk Mikhail, they will "not be rushing". They will be filming in Manila and Quezon City. Julia, nakakatunaw ang birthday surprise for Joshua! MarNigo Monday: Two Virgos are better than one!